Decoy Lakes will be hosting the other half of the Angling Trust Winter League Final and more and more anglers will be looking to get onto the fishery to try and work out where the fish are going to be on each of the lakes to be used. Looking at the last set of results though it’s still the usually good pegs that are producing the better weights, but with the weather so unpredictable at this time of year that can all change in an instant. In the Saturday Open it was Neil Adcock taking the honours from the Horseshoe Lake with 91lb 15oz. In fact all the leading weights came from this lake. Second was Dave Riley with 87lb 7oz, then came Ken Smith with 67lb 13oz. 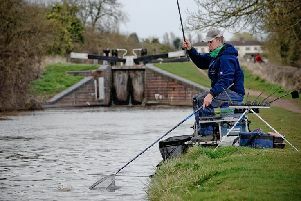 Neil Adcock made it a weekend to remember as he also won the Decoy Winter League the following day after drawing fancied peg 29 on the Willows. He had a great start to the day on the feeder catching regularly for the first hour on a small pellet. He then switched to the pole fishing long to the edge of the island catching carp and F1s on maggot and pellet to finish with 115lb 13oz. 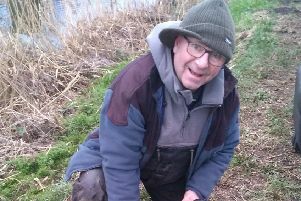 JVAC fished the Cedar Pool at Decoy which saw Alan Marshall take the honours fishing the pole and feeder for a level 65lb. Second was Roy Whincup with 52lb 12oz and third Perry Briggs with 50lb. The Cedar Strip was the venue for the Friday Decoy Over 55s match. In-form Kevin Wilmot drew peg eight and made no mistake, catching carp and F1s all day on maggot for 69lb 4oz . Next came Roy Whincup (34lb 14oz) and Chris Saunders (21lb 12oz).